We just bought a 2005 Chrysler Convertible from Allen. As others have stated in their testimonials, there are no sales people following you around the lot. You deal direct with the owner. Allen was good to work with thru the entire process with none of the going back and forth between a salesman and his manager. We paid the advertised Internet price, fair and reasonable. 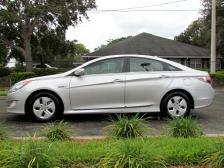 We feel we got a good car at a good price and Allen made a little too, no hassles whatsoever. Being from Ohio we had to title the car there while we were in Florida. As most states do, OH required an inspection of the current title vs. the VIN. The rough part was it had to be done by law enforcement, they don't allow dealers to do it. Allen and Kelly got this done and overnighted all the documents to my local BMV so we could get it titled. All is well and I will look here again on my next purchase as we spend 7 months of the year here. Allen, you bought a jeep wrangler from me a few weeks ago, I just wanted to thank you for being so nice to deal with. When we are in the market for a car we will come and see you. Thank you SO much! 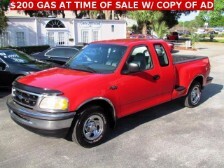 _Shannon W.
Just bought my second vehicle from Cars Unlimited, a 1998 Ford F150 truck. The dealership offers a refreshing change from the usual trauma of buying from a typical used car dealer. Mr. Allen Stathas is the owner, and takes a good deal of pride in his business. There are no high pressure sales people milling around to push you into an expensive vehicle, and the no-haggle price for each car is clearly posted on the windshield. The customer is free to walk around and look at the vehicles at his leisure without any high-pressure sales pitch. There is a flat dealers fee which is quite reasonable, and they handle all the paperwork efficiently. My first car, a 2008 Toyota Yaris served me very well for a year and a half. When the time to buy a truck came I went directly back to CU and selected the truck above, which was in very nice shape. After picking up the truck a few discrepancies became evident, which Allen addressed satisfactorily. When the time comes to buy another car or truck, CU will get my business once again. Things can be difficult when your trying to purchase a vehicle off the internet. Not so with Cars Unlimited. I found a vehicle I had been searching for and they made my purchase very very easy. They went above and beyond to help with my purchase. I would recommend ANYONE from ANYWHERE to do business with these folks. CLASS ACT ALL the WAY!!!! Doug from Gulfport,MS. Okay... what a breath of fresh air! NO salespeople, gimmicks, markups or runaround... just clean cars, friendly faces, hard-working staff who only want to assist you with what you want to buy AND the desire to not waste your time. If you or anyone you know is even considering trading/buying a vehicle, at least run over and walk around. They are a special team and it was so much fun buying there! My wife and I will return when our next need arises. Jennifer is a rock star and working with her was a special privilege! Thank you guys for helping us out so much! Since we're making payments on a vehicle for the first time in seven years, we were glad we started here. We'll tell everyone we know just how much of a Godsend you guys are! Thanks again. Bought a Wrangler Jeep for our daughter, it was a very good experience. We set up purchase on line- drove 115 miles to pick the Jeep up and it was worth it. Cars Unlimited is an honest dealer that stands behind their sales. We would recommend purchasing a vehicle from them. I just bought my truck from Cars Unlimited last week. Unbelievably great experience!!! Not your typical car dealer at all. I went to the lot, walked around to see all the vehicles, and was not attacked by any sales people. Why? There are no sales people. I took my time, went on a drive, came inside and expected the old switch a roo game that goes on at all car dealers. The price in the ad is the price I paid. No mysterious managers in the back, no 5 hour process. I was in there for a total of 40 minutes with all paperwork done! I didn't have to come back and sign more papers, it was just simple. Thank you for making it so easy to buy a truck. Great vehicles, incredibly clean car lot, and everyone was energetic a happy to help. I would definitely recommend this place. I have bought 4 cars from cars unlimited over the past 15 years and they have done everything to take care of me from the sale, to caring for my service needs, and including taking care of my friends in the same way. Excellent. We bought the car and are very pleased with every aspect. I have purchased 3 vehicles from Cars Unlimited. 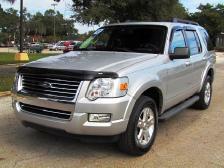 Last week my old SUV brokedown. At the time I did not find anything I was interested on the lot. The owner suggested that his mechanic take a look at my vehicle. They lost a sale because they fixed my SUV but you can be sure when I buy my next vehicle it will be from Cars Unlimited. We loved the simplicity ! There were no pushy salespeople or any painful negotiation about price to deal with when we purchased either of our cars from Cars Unlimited. My service visits have always been fun. I'm amazed at the level of personal attention I always receive because it's so unlike other Big Name dealerships where I'm just a number. Dealership with GREAT integrity. Very smooth transaction. Would buy another vehicle and without a doubt the best dealership experience I have had. My son, daughter and myself have purchased 3 cars in the last 4 years. My sister-in-law and her husband and son have also purchased 3 cars recently. 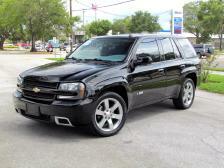 We are extremely satisfied with price, quality, service and support given by Cars Unlimited. 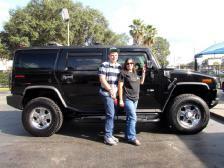 The staff at Cars Unlimited are all very professional, knowledgeable and helpful. This is our second vehicle purchased there and I would not consider looking anywhere else. Best price and service i have ever had! The cars are spotless and always up to check. No rip-offs here! 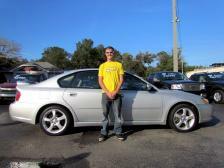 Allen was an excellent help and made the process smooth and problem free. I would recommend this dealership to anyone and will continue using them from here on out. 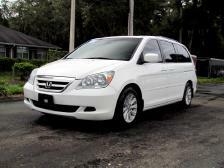 I have purchased many vehicles from cars unlimited, my experience with personnel has been very pleasant. would recommend to a friend. 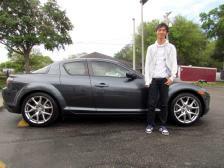 I have purchased 3 cars from Alan and his team and he services all of my cars. I always receive excellent. If something isn't right, Alan corrects it. You cannot find a better, honest used car dealer. This is the second truck I have purchased from you and the experience the second time around was as good as the first. Great company to do business with..no pressure sales, honest dealer and employees. 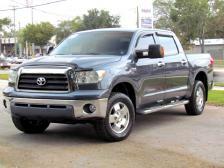 They also have an extensive inventory or cars and trucks. 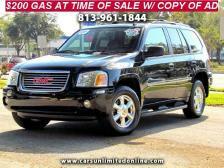 If you're looking for a great place to buy a car, check out my friends at Cars Unlimited. Clean, quality cars at great prices. Call or stop by today! $200 gas gift card with internet ad and purchase of car. Christian run business. I just Bought another vehicle from you guys. Thanks so much for your help, it is a pleasure working with you.